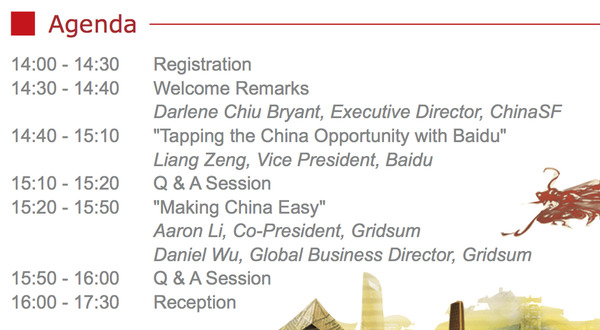 China SF is organizing an information event and is inviting our group members to attend it. 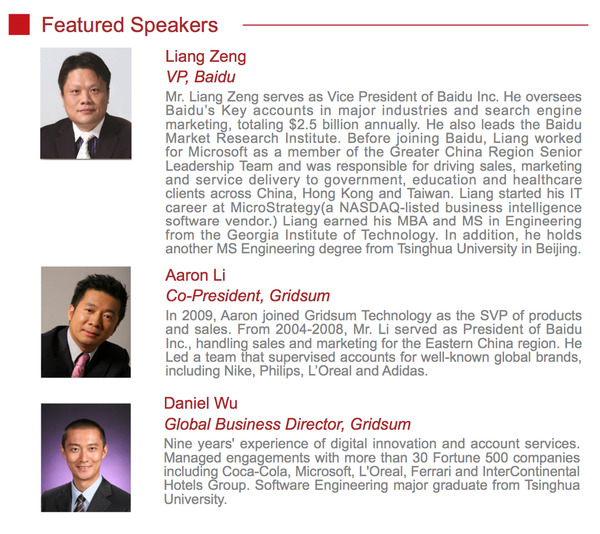 Come learn how to access China’s 632 million online users through Baidu, China’s leading online search engine serving over 531 million users and 5 billion search queries per day. To RSVP, please also email chinasf@sfced.org and introduce yourself a bit and mention you hear the event from China-US Entrepreneurship Club. This way they can be more prepared for the turnout.